Episode 45 - The 90s - Best Decade Ever? Ep. 45 - "The 90s - Best Decade Ever?" 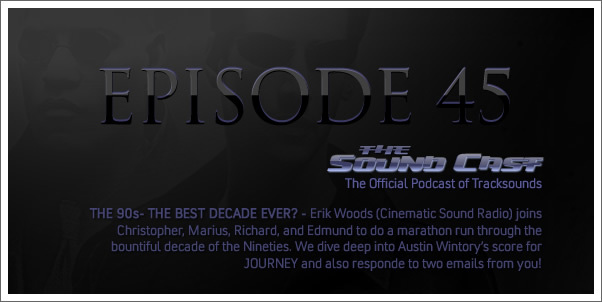 Erik Woods (Cinematic Sound Radio) joins Christopher, Marius, Richard, and Edmund to do a marathon run through the bountiful decade of the Nineties. We dive deep into Austin Wintory's score for JOURNEY and also responde to two emails from you!